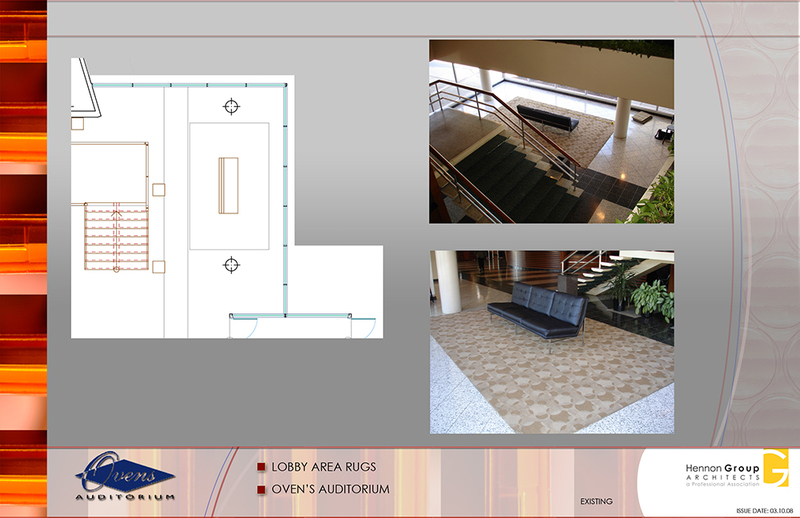 HGA team members had aided in an extensive interior and exterior revitalization of Ovens Auditorium in 2002-2003 at a previous firm. 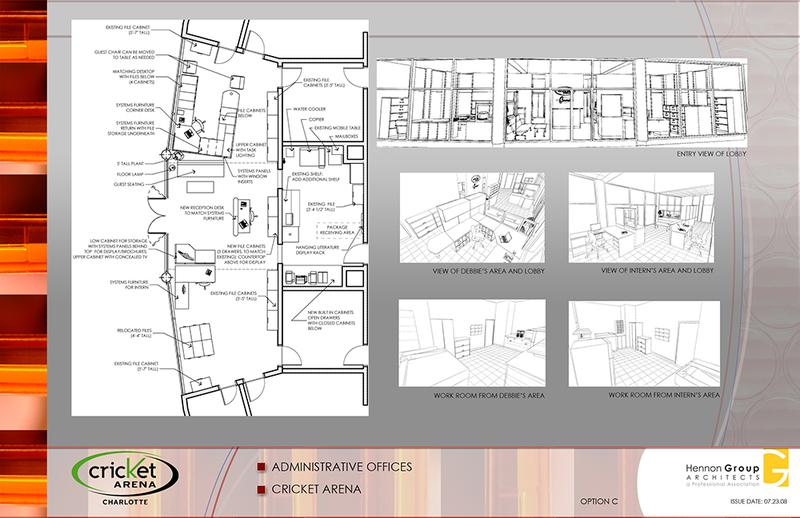 They were contacted by the client for additional work at this grand venue. 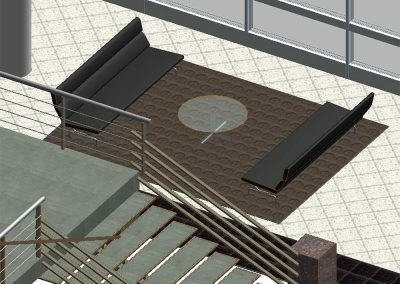 The area rugs in the main lobby had worn due to heavy traffic over time. 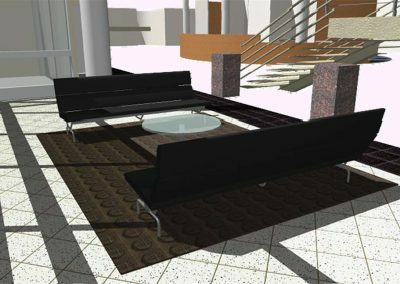 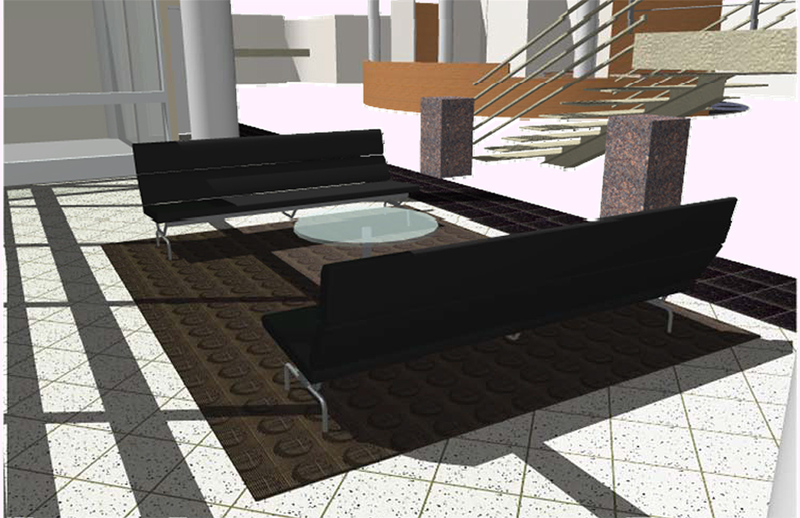 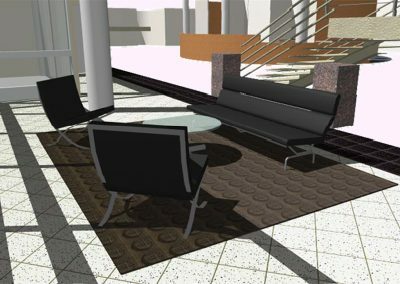 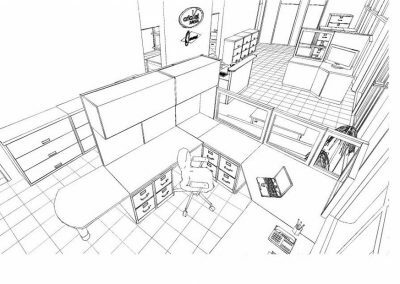 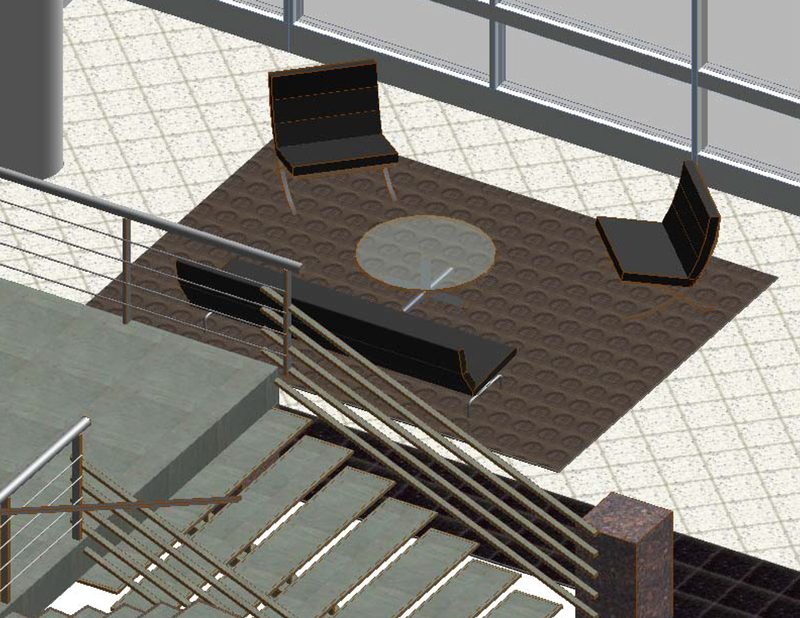 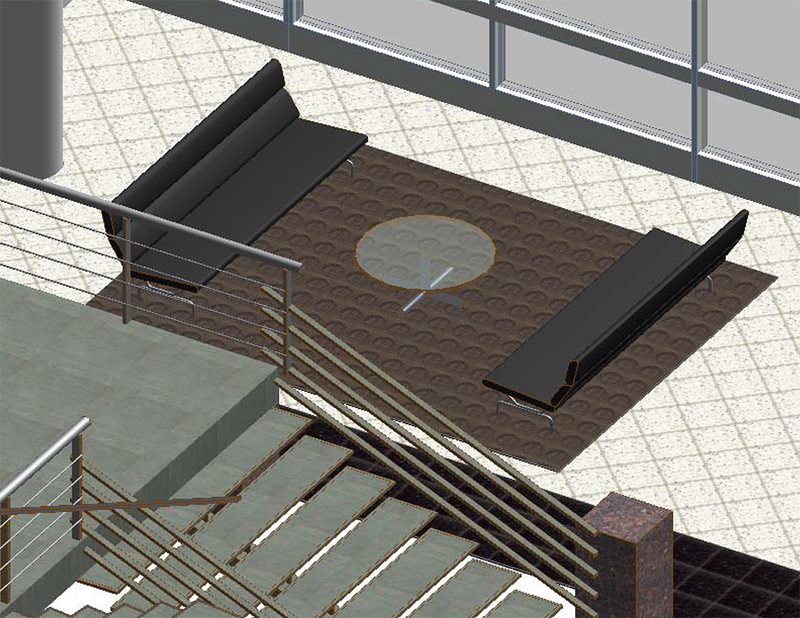 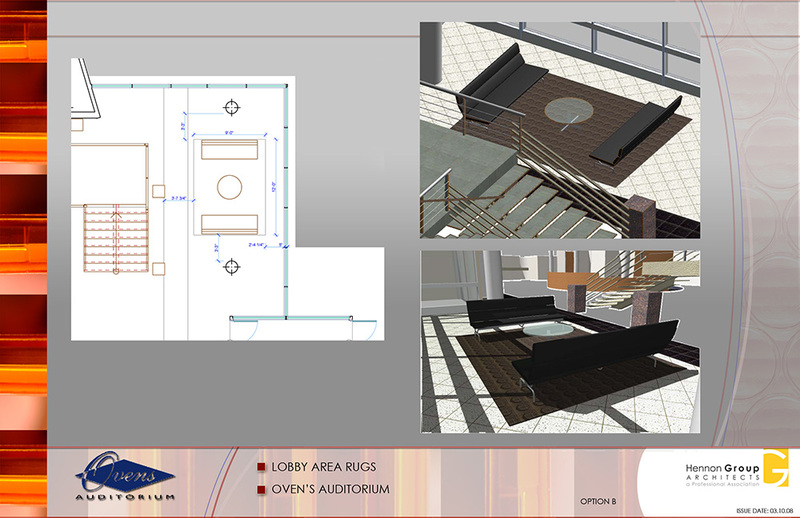 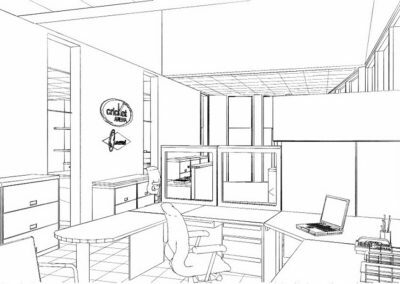 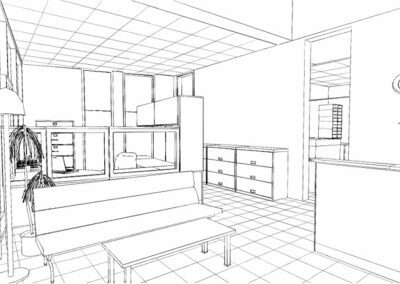 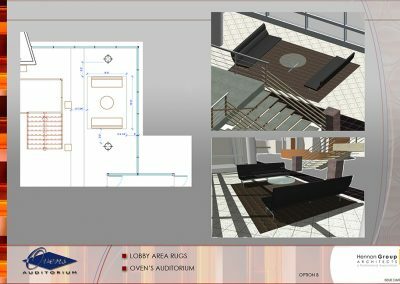 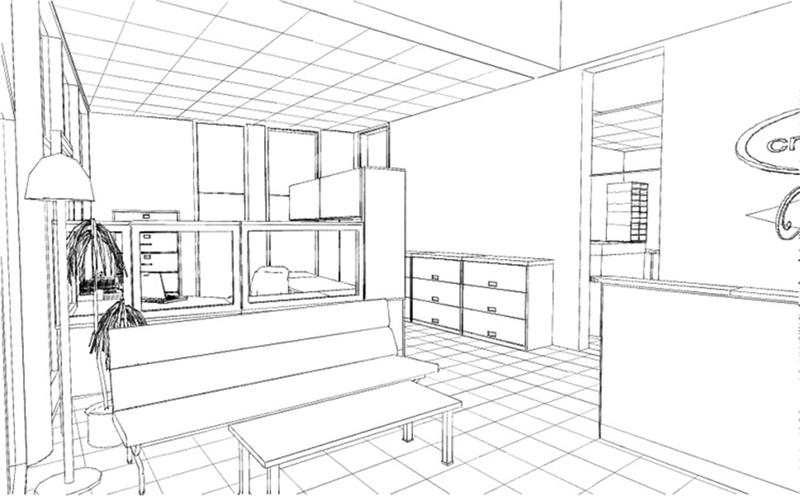 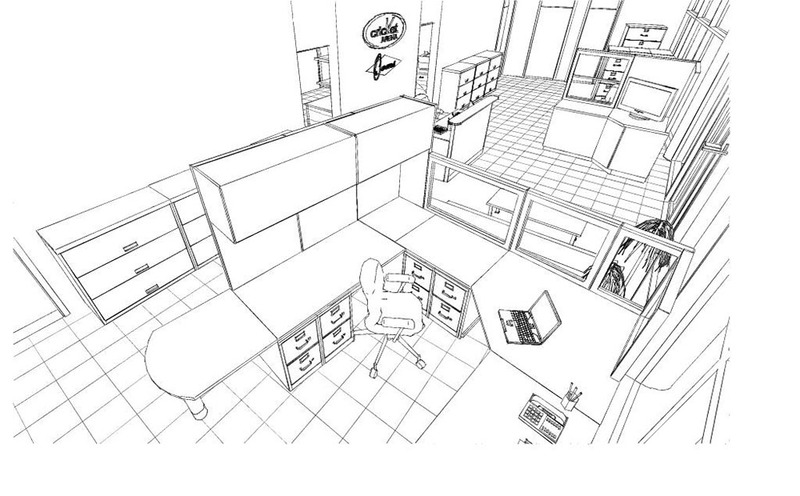 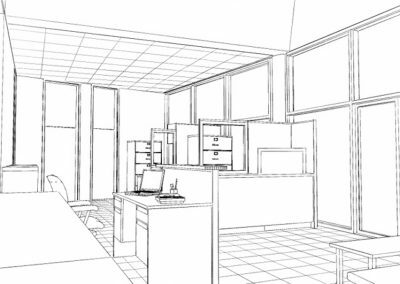 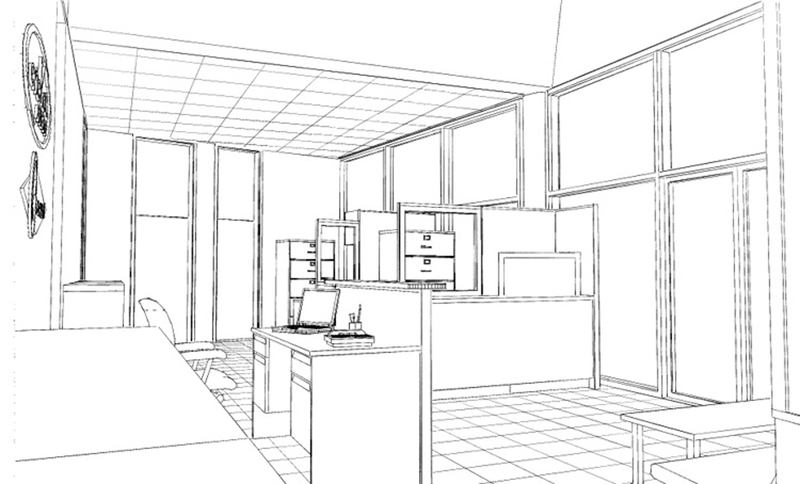 HGA created a 3D model of the existing lobby from a hard copy floor plan and field measurements. 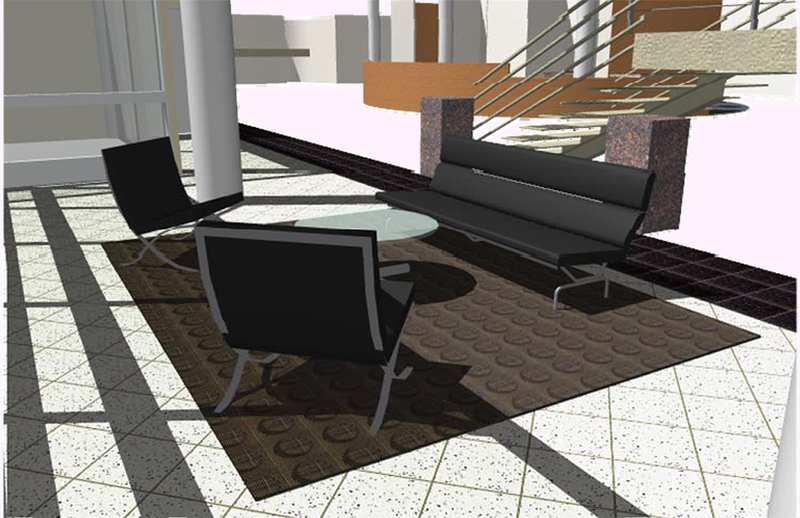 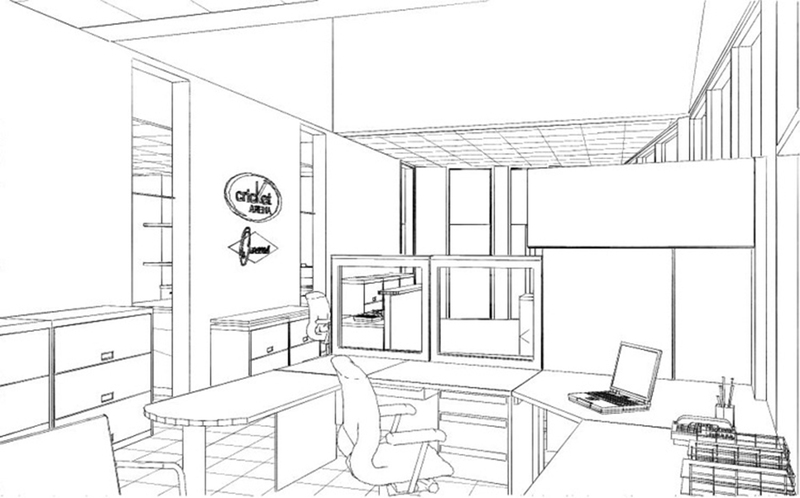 From this base model, the firm created renderings using various replacement carpet options. 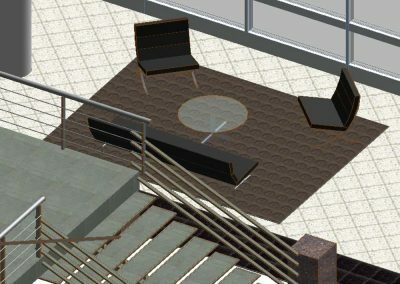 The client also requested an interior design review of the second floor Starlight Lounge as the space had not been refreshed in over ten years and was starting to show its age. 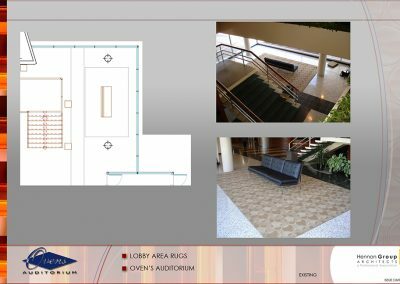 HGA made several recommendations and provided numerous flooring options to better withstand heavy traffic from patrons and stains from event-goers as well as to pay homage to the 50s era building and highlight its historical materials. 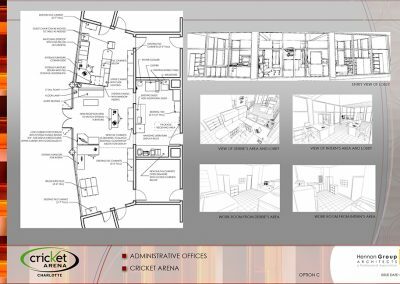 At the adjacent Cricket (Independence) Arena, HGA reviewed the existing administrative lobby and workroom areas and devised a new space plan based on work flow efficiency and marketing needs for the office. 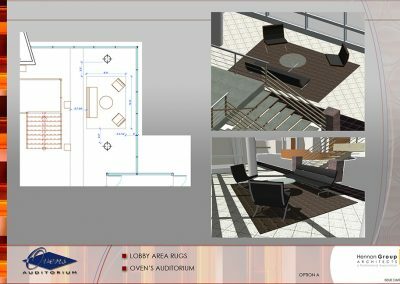 Several options were provided to the client with furniture layouts utilizing existing as well as new fixtures and furnishings. 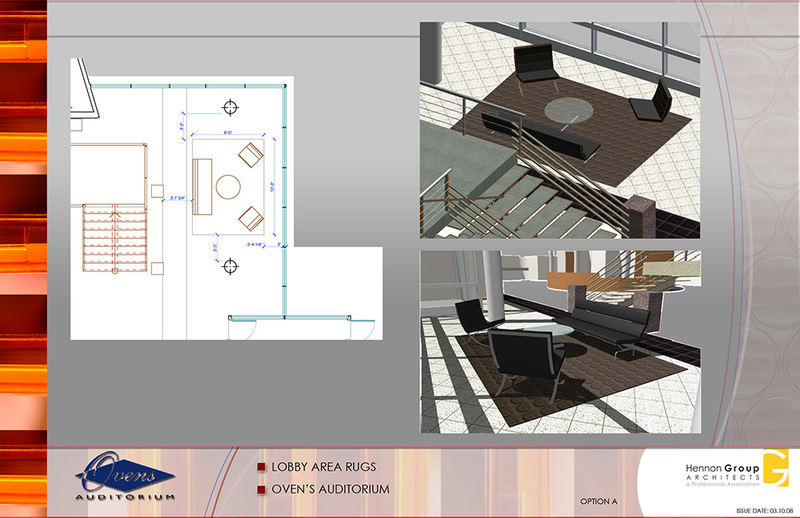 3D images were created so that staff could better visualize the proposed plans.